The Bakersfield Condors of the American Hockey League will have fan appreciation night on April 13 at the Rabobank Arena when they host the Ontario Reign. The first 5000 fans aged five years of age and older will receive a free bag of popcorn! The Condors will also be raffling off game-worn jerseys, jackets, autographed pucks, hats and food. There will also be a unique grand prize. Fans have a chance to enter to win two tickets to every event at Rabobank Arena for a year. Prior to the game, there will also be craft beer tasting at the Ice Level Lounge from 5 p.m. to 7 p.m. Proceeds go to the Condors Community Foundation. There will also be a three-on-three alumni game starting at 5 p.m. Finally it is also Big Buddies Night as underprivileged children and military personnel will have the chance to attend the game for free. The Condors are one of only four teams in the American Hockey League to have clinched a Calder Cup playoff spot. The others are the Chicago Wolves, Charlotte Checkers and Syracuse Crunch. The Condors, Wolves, Checkers and Crunch all lead their respective divisions. The Condors lead the Pacific Division with a record of 39 wins, 17 regulation losses, three overtime losses and two shootout losses for 83 points. They have an eight-point lead on the San Jose Barracuda. The Reign are in seventh place in the Pacific Division with a record of 22 wins, 30 regulation losses, six overtime losses and three losses in a shootout for 53 points. Bakersfield's leading scorer is Tyler Benson, who has 14 goals and 47 assists for 61 points. Ontario's leading scorer is Matt Moulson, who has 25 goals and 31 assists for 56 points. The Condors have won their last two games. On March 27, they beat the Reign 5-2. Four Condors players had multi-point games as Luke Esposito had two goals, and Benson, Cameron Hebig and Jakob Stukel had two assists each. 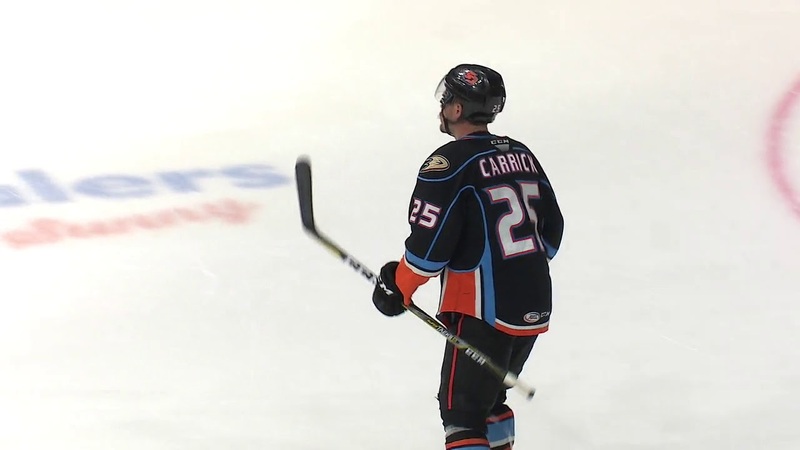 Then on March 29, the Condors beat the San Diego Gulls 3-2 at the Pechanga Arena San Diego. The Condors got off a great start in the hockey game as they scored three first period goals and hung on for the one goal road victory. Cooper Marody led the Condors in scoring with two goals and one assist for three points, while Benson and Mitch Callahan also had multi-point games. Callahan had one goal and one assist and Benson had two assists. Get your tickets to see the Bakersfield Condors and the Ontario Reign on April 13 at the Rabobank Arena today!